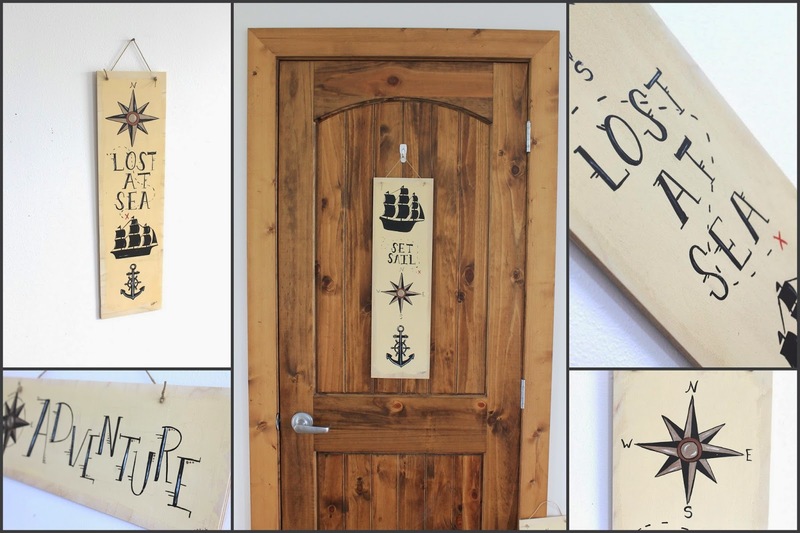 I've painted up some seaworthy door hangers that are sure to bring out the maritime adventurer in us all. Pirate ships, compasses, and anchors - oh my! I can't wait to debut these brand new decorations at the Summer Arts Bazaar this weekend!